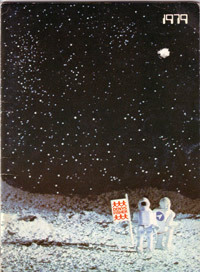 Denys Fisher was never the Mego distributor that Palitoy was in the UK but in their heyday they carried the Comic Action Heroes line as well as having some lines created for them by Mego such as Doctor Who, The New Avengers and Angels. 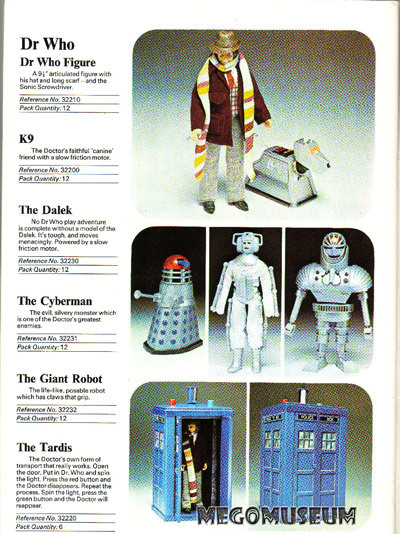 1979 saw Denys Fisher continue the Doctor Who line (it's obvious that Leela was dropped from the line when she left the show) It's interesting to note the only other Mego figure in the catalog is a Comic Action Hulk. 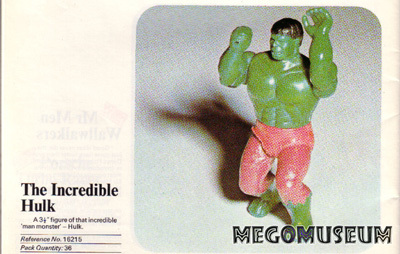 It's more than likely that Denys Fisher distributed the Pocket Heroes line and the CAH Hulk was there for placement (Mego did the same in their 1979 Catalog). Many denim cards have recently surfaced in the UK with no markings.